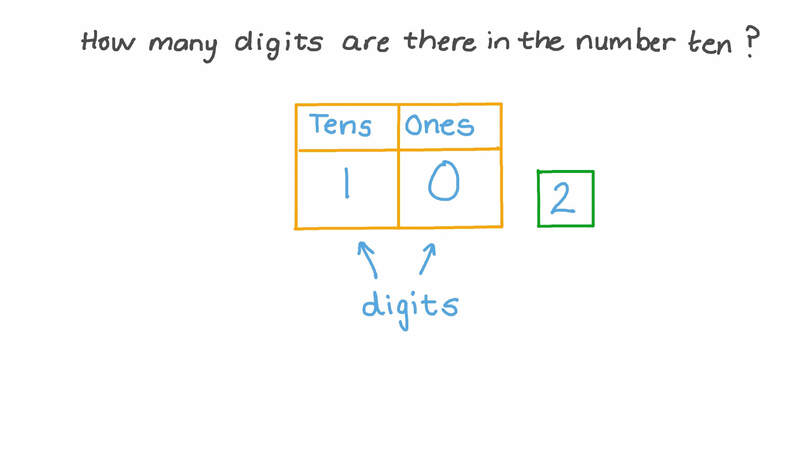 In this lesson, we will learn how to recognize the number by counting base ten blocks and determine the place value of a digit within a number up to 50. How many tens are there? Fill in the table with whole numbers to get a result of 22. How many digits are there in the number 10? 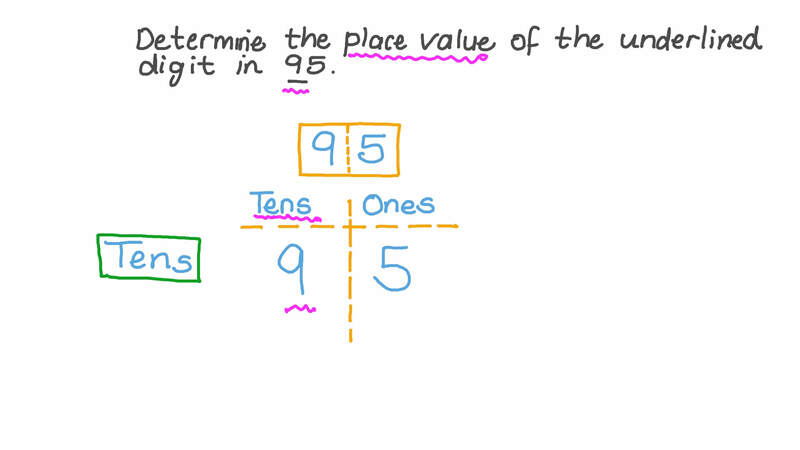 Determine the place value of the underlined digit in 9 5 . Fill in the table with whole numbers to get a result of 47. How many ones are there? 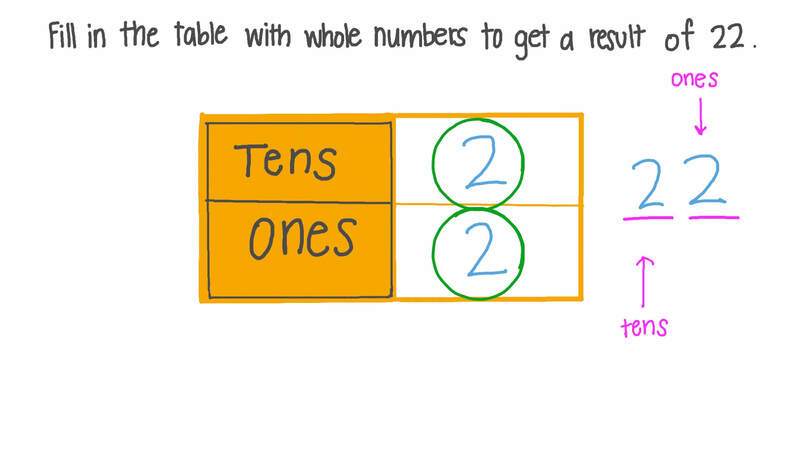 Multidigit numbers can be decomposed into tens and ones. Pick the correct way to decompose 38. Which image shows the number correctly split into tens and ones? What number does 4 tens and 0 ones make? Pick a set of cards that shows 28 hearts. Determine the place value of the underlined digit in 3 9 . Determine the place value of the underlined digit in 4 3 . Determine the place value of the underlined digit in 4 5 . Determine the place value of the underlined digit in 2 7 .